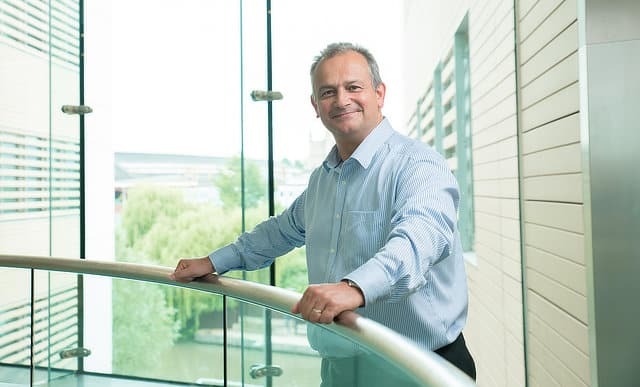 Bristol-based tech firm Ultrahaptics is aiming to raise £10,000 for the charity Parkinson’s UK, through a 16-mile walk of Bristol on Saturday 8th September. The walk, which will be attended by over 100 people including employees and their friends, family and business partners, will start at Ultrahaptics’ headquarters in the Temple Quarter Enterprise Zone, take in Snuff Mills and Horfield, and finish in Clifton Village. “This is an extremely personal mission for me – my father, now in retirement, has Parkinson’s. It is heart-breaking to watch him deteriorate and to see the impact of this on my mother, when both of them should be enjoying their retirement. When I suggested the idea of a charity walk to some of my colleagues, I was overwhelmed by their support and enthusiasm. Ultrahaptics has a really collaborative attitude at its core and the whole team has come together to support this event, many roping in friends, families and even pets! Parkinson’s is a progressive neurological condition that affects around 145,000 adults in the UK and is caused by a lack of dopamine in the body. The three main symptoms are tremors (shaking), slowness and muscle stiffness. Parkinson’s UK funds groundbreaking research to change attitudes to the condition and find a cure.